I'm so grateful to all of the many donors who helped me reach my Susan G. Komen fundraising goals! I once again had the honor of being named a "Top 60" Fund Raiser for this great organization! The Komen organization recognizes this group with a "Pink Honor Roll" T-shirt and a special dinner complete with entertainment! The dinners always have interesting speakers, including organizations who are grantees of the Komen organization, like Sage and Angel. I learn so much from attending these dinners, and they get me excited about continuing to raise funds! Some of the grantees do things like help provide treatments and even living expenses to qualified women going through treatments. Another grantee provides free meals to women who are going through treatment AND their children and care givers. For the past couple of years, KS95's DJ, Staci Matthews, has been the emcee at the event. 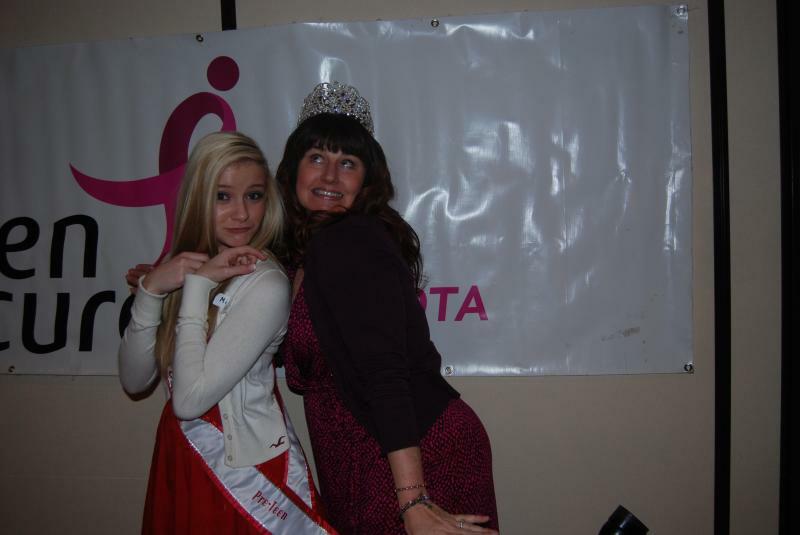 Staci herself is a breast cancer survivor. 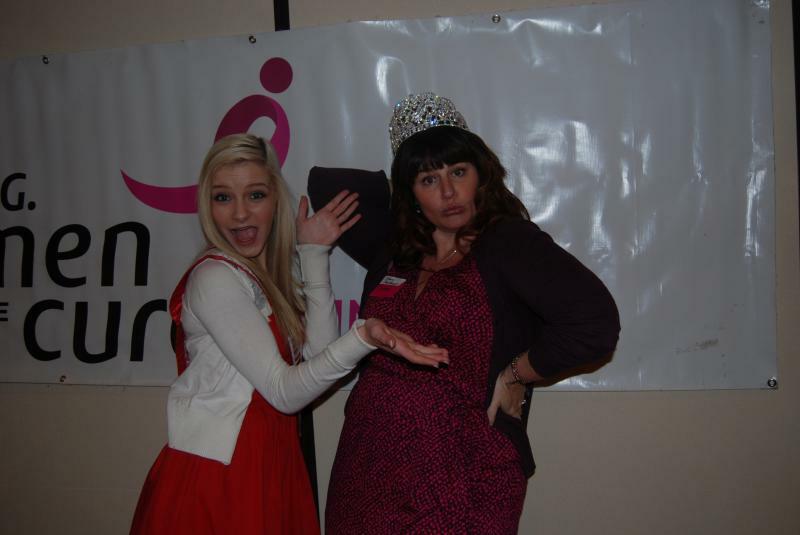 An interesting fact about Staci is that, like me, she LOVES sparkly things like crowns, as you'll see from the photos! 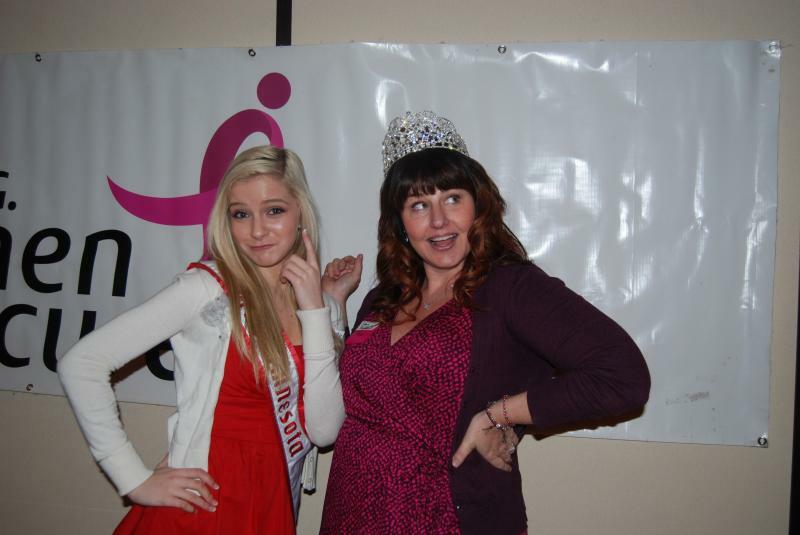 Below: Hamming it up with the newly-crowned Staci Matthews! 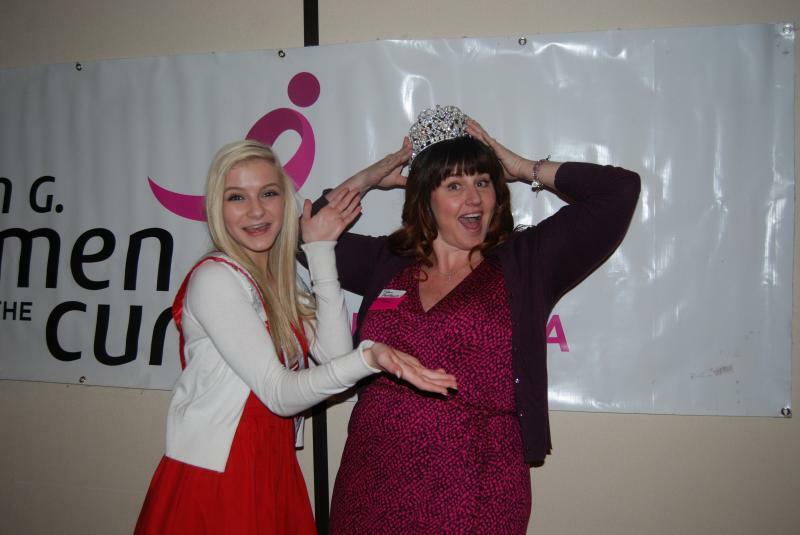 Below: With 2014 dinner emcee & breast cancer survivor, Staci Matthews, from KS95 Radio. Below: Yep, there's my name, 5th from the top!